Iran has now produced a stockpile of nuclear fuel that experts say would be enough, with further enrichment, to make two nuclear weapons, a United Nations Security Council (UNSC) report revealed on Monday. Iran has now produced over 5,300 pounds of low-enriched uranium, all of which would have to undergo further enrichment before it could be converted to bomb fuel, the inspectors reported on Monday. Officials have informed that Pakistan and Iran signed an agreement to supply Iranian gas to Pakistan through a $7.5 billion pipeline to be completed in 2014. The Dawn newspaper has reported that under the 25-year supply agreement, Pakistan will import 750 million cubic feet a day with a provision to increase that to 1 billion cubic feet a day. The families have said that three U. S. hikers arrested in Iran have spent 10 months in prison without being formally charged and with no access to lawyers. Shane Bauer, 27, and friend Josh Fattal 27, are in a cell together while Bauer's newly-engaged girlfriend, Sarah Shourd, 31, is in her own cell, ABC News reported Monday. The three American hikers were arrested in Iran in July 2009 as they hiked a path along the Iran-Iraq border after visiting a region of Iraq, The Oakland (Calif.) Tribune reported. US president Mr. Barack Obama is interested to pursue a fresh UN sanctions against Iran's nuclear deal despite of its deals with Brazil and Turkey. Mr. Obama has had a discussion with Recep Tayyip, the Turkish Prime Minister over phone and has said that the nuclear deal moves of Iran are not reliable at this point of time. Both the Brazil and Turkey have informed earlier to the UN Security Council to pay attention towards the nuclear deal they were dealing with Iran. This deal was made to convert the trade uranium of Iran to enriched reactor fuel. The officials of Turkey have said that the deal on nuclear program of Iran is supposed to be closed. They are saying that on the basis of the joint talks in Teheran. It was attended by the Prime Minister Mr. Erdogan. His main aim was to convince the Iranian leaders to send their nuclear material abroad for processing. France has refused to have any secret deal with Iran to release the French lecturer who has been charged of spying in the country. The French lecturer Clotilde Reiss has arrived in France with a separate flight from the Iran's capital Teheran. She was charged of spying and has been sentenced for 10 years of jail in Teheran. But her lawyer has said that he had deposited a fine of $285,000 for her release. He has also said that the matter of any secret deal with the country is absolute baseless. Clotilde Reiss is a lecturer at Iran and aged 25 yrs old. She was accused of e-mailing photographs and espionage of the anti-government protest. A spokesman for the secular Iraqiya slate has said that the Iraqi political alliance by two leading Shiite coalitions was orchestrated by Iran. It was reported that the Iraqiya slate of former interim Prime Minister Iyad Allawi won a narrow victory over the State of Law coalition of Iraqi Prime Minister Nouri al-Maliki in March 7 elections for the Iraqi Council of Representatives. Neither party secured the 163 seats needed to unilaterally form a government in the 325-member council, however. A human-rights group has said that Iran must reveal how many Afghan nationals are on death row as reports that 45 Afghans were executed recently circulate. Amnesty International said on Friday in a news release that Iranian officials have denied that number of executions and have refused to confirm how many Afghans are on death row. Iranian jails may be holding more than 4,000 Afghans, of which as many as 3,000 may be facing the death penalty, primarily for drug-related offenses, the organization has said. US Secretary of State Hillary Clinton has warned Iran's nuclear tests and has said the test dangerous and risk to the world. She has also revealed that Iran has been violating the nuclear NTP conference deal. On the other hand President of Iran Mr. Ahmadinejad has said that US is having nuclear weapons with it and it is threatening the other countries who want to develop peaceful nuclear technology of their own. It is rather unacceptable. US defense department has also informed that they have 5113 nuclear warheads. But Mrs. Clinton has accused the Iran's President of providing misleading statements to the media regarding the nuclear test. According to US officials, the Iranian navy plane has come closer to a US aircraft carrier. The plane was flying at a distance as low as 300 feet from each other. The Persian Gulf has completely become an army base. The Iranian army is busy in military exercise over there and the recent incident has crated tension between these two countries. US Army officials have said that its carrier aircraft named USS Eisenhower was come closer to the Iranian plane. U. S. pressure has resulted in severed ties, stopped sales or scaled back business with Iranian firms, a growing number of companies worldwide have said. The moves come as U. S. President Barack Obama seeks tough United Nations sanctions against Iran because, he and other Western leaders say, the country is seeking to develop the capability to build a nuclear weapon. The U. S. accounting firms PricewaterhouseCoopers and Ernst & Young said they had cut off affiliation with Iranian firms, weeks after a similar decision by KPMG, the New York Times has reported. The country has no plans to produce long-range missiles capable of carrying warheads that could reach the United States, Iran's defense minister said on Wednesday. Brig.-Gen. Ahmad Vahidi told reporters, referring to the number designating Russia's long-range missiles, "Iran has no need to build S-300 missiles. We have no such program." The Islamic Republic News Agency also reported that he further noted that Iran recently has built a medium-range missile system, the Mersad, or Ambush. Iran is expected to conduct a military exercise in the Persian Gulf shortly. According to a news agency, the Iranian Revolutionary Guard Corps (IRGC) is going to begin land, sea and air activity as well very soon. The report suggests that the exercise is expected to continue for five days. The exercises are aimed to exhibit the nation's strength, will and its determination to defend independence and territorial integrity according to the deputy chief of the Revolutionary Guard. Iran may build missiles capable of striking the United States by 2015, an unclassified U. S. Defense Department report has said. The report, leaked to national media and reported by Israel's Arutz Sheva news agency, said, "With sufficient foreign assistance, Iran could probably develop and test an intercontinental ballistic missile capable of reaching the United States by 2015." "Iran's nuclear program and its willingness to keep open the possibility to develop nuclear weapons is a central part of its deterrent strategy," the report further added. Jordan's King Abdullah has said that if Iran is "playing mischief" in the Middle East region, then its regime is being allowed to make mischief. Abdullah told The Wall Street Journal in an interview published on Tuesday, "If there are those that are saying that Iran is playing mischief, then, I say it is being allowed to play mischief. The platform they use is the injustice of the Palestinians and Jerusalem." The king, who will be attending U.S. President Barack Obama's nuclear security summit next week, said, if the platform, the Israeli-Palestinian conflict, for Iran's behavior goes away, Iran's influence through Hezbollah and Hamas in Gaza "diminishes or becomes non-existent." Observers of the region have noted that most of Iraq's politicos traveled to Iran for guidance on running a democratic government, soon after the Iraqi elections in early March. The New York Times has reported on Friday that three of the four major political alliances trekked to Tehran, but not the U. S. Embassy in Baghdad. China's decision to join discussions at the UN about enacting sanctions on Iran for its refusal to alleviate international concerns about its nuclear activities has been welcomed by the US. Bill Burton, a White House spokesman, said on Thursday, "Its a very important step." He said, "The President feels that we've been able to unite the global community in a way that it hasn't been united before in putting pressure on Iran and halting their drive towards nuclear weapons." According to some reports, Washington is backing a measure that would restrict Iranian access to technology meant to block or limit access to the Internet. U. N. measure to sanction Iran for its controversial nuclear activity is being worked at by Washington. Tehran insists its nuclear work is for civilian energy, though Western allies suspect the program is weapons-related. 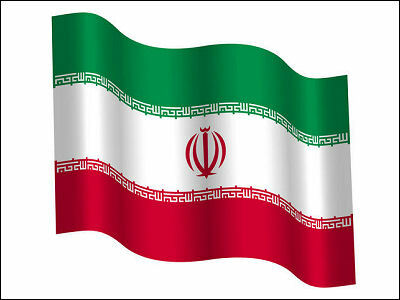 The Christian Science Monitor reports said that Washington is supporting a measure that would limit Iran's access to software and equipment that could block Internet access. Tthe Iranian president has said in Kabul that U. S. military forces do not need to be in Afghanistan because fighting terrorism requires only intelligence operations. President Hamid Karzai welcomed his Iranian counterpart Mahmoud Ahmadinejad to the Afghan capital Wednesday . There were not only common interests but also common enemies that strengthened ties between the two Asian neighbors, Ahmadinejad further said. Israeli officials have said that Iran will be the key topic when U. S. Vice President Joe Biden and Israeli Prime Minister Binyamin Netanyahu meet in Jerusalem. 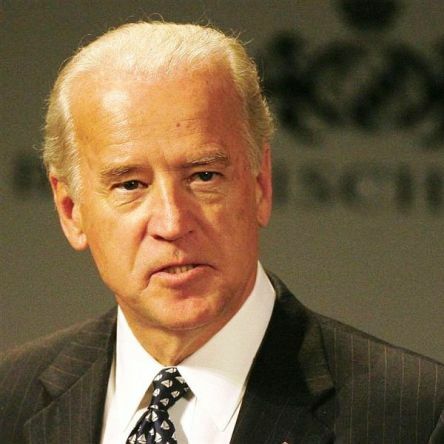 The Jerusalem Post reported on Monday that Biden is expected to add his voice to those of a number of U. S. officials who have visited the Middle East to coordinate positions on Iran's nuclear program.